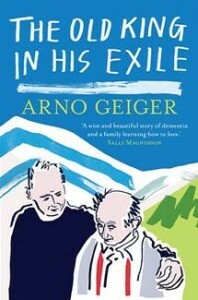 Arno Geiger’s gripping memoir The Old King in his Exile dwells on the story of the author’s father who is suffering from Alzheimer’s and his efforts to reach out to him. As conventional communication fails, new forms of sharing and understanding have to be found. This honest account of a taboo subject raises unavoidable questions about the conception of humanity. Since it was first published in 2011 the book has touched the hearts of over a million people around the world. This January the English translation by Stefan Tobler will be published by And Other Stories. Arno Geiger studied German and comparative literature at the Universities of Innsbruck and Vienna and his debut novel appeared in 1997. In October 2005, he was the recipient of the first German Book Prize for his novel Es geht uns gut (We are Doing Fine) and his writing has won numerous other prizes. 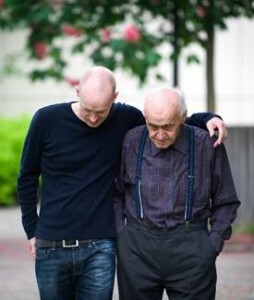 First published in 2011, his autobiographical Der alte König in seinem Exil (The Old King in His Exile) is an account of Arno’s relationship with his father as he develops Alzheimer’s. This novel is due to be released in English in January 2017.